For the most powerful spray and reliable performance, choose an Aircraft Deicing gas powered deicing cart from SkyGeek. 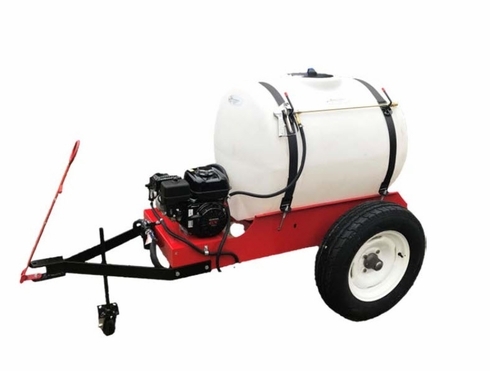 The carts are designed with a heavy-duty tank and a powerful gas motor that provides 5.5 horsepower to produce an adjustable fluid flow rate and pressure of up to 10 gallons per minute and up to 300 psi. Gas powered carts are powerful enough to deice all types of general aviation, corporate and charter aircraft. They are available in a range of sizes with tank capacities of 40 to 110 gallons. All are equipped with an electric immersion heater to keep fluid at the proper temperature of 160 degrees Fahrenheit. Hot deicing fluid melts frost, snow and ice form your aircraft's surface. The carts are shipped with everything needed to get started and feature a durable steel frame with a hinged tow bar and a pintel ring. Heavy-duty wheels and a rugged Honda engine complete the design. 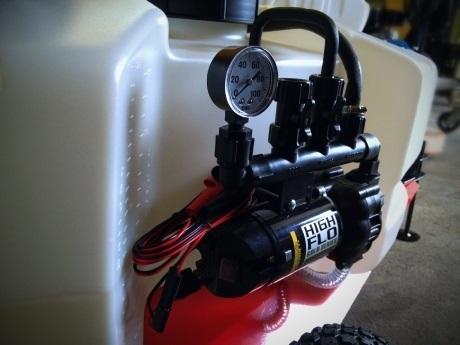 The carts even come with an adjustable pressure value, a pressure gauge, a temperature gauge, a high-pressure hose and a pistol-grip handgun or easier spraying. The carts may be ordered with a manufacturer's certification if needed.